The Aire and Calder Navigation connects Leeds and Wakefield with the tidal River Ouse at Goole. This "virtual cruise" runs from east to west, starting from Goole. 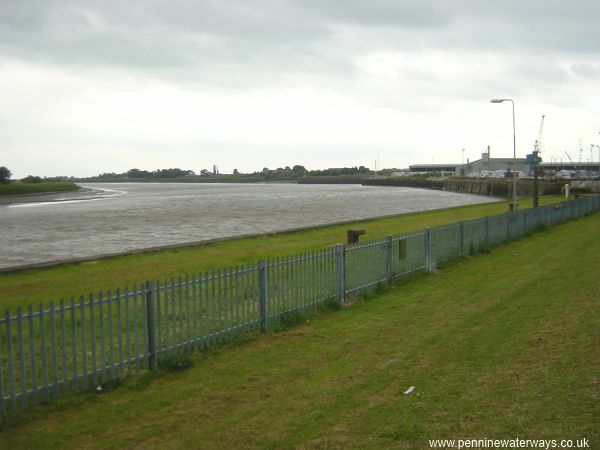 The tidal River Ouse at Goole, looking south, with the entrances to Victoria Lock, Ouse Lock and Ocean Lock on the right. 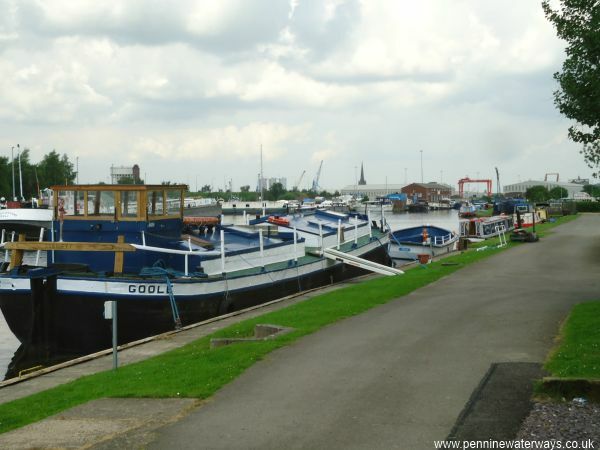 Leisure boats may pass through Goole Docks between the tidal River Ouse and the Aire and Calder Navigation (or vice versa) but they must obtain permission to do so from Associated British Ports (ABP) Goole. Skippers are advised to carry a marine band VHF radio when navigating tidal waterways and commercial dock areas and this is the best way of contacting ABP. 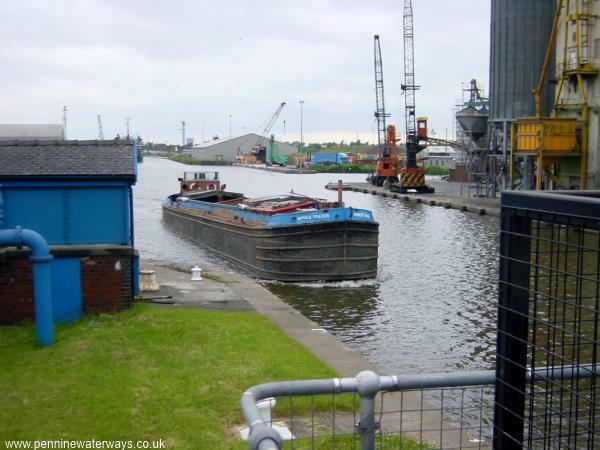 The locks give access to Goole Docks. 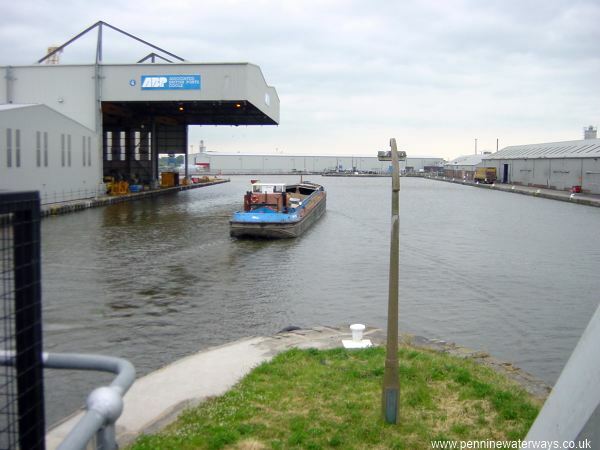 This is Barge Dock, looking east. Stanhope Dock, Goole, with St John's Church beyond. 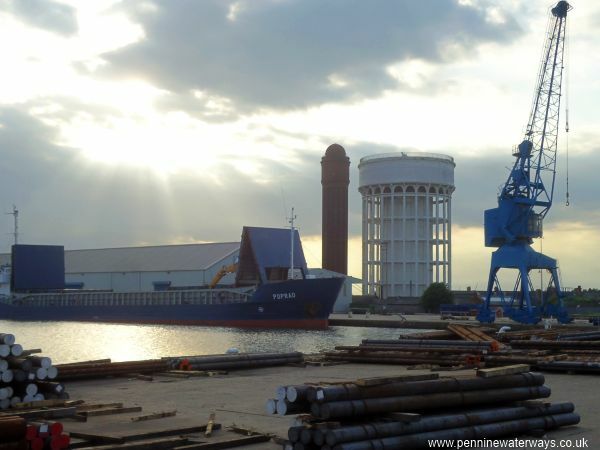 West Dock, Goole, with the town's landmark water towers in the background. 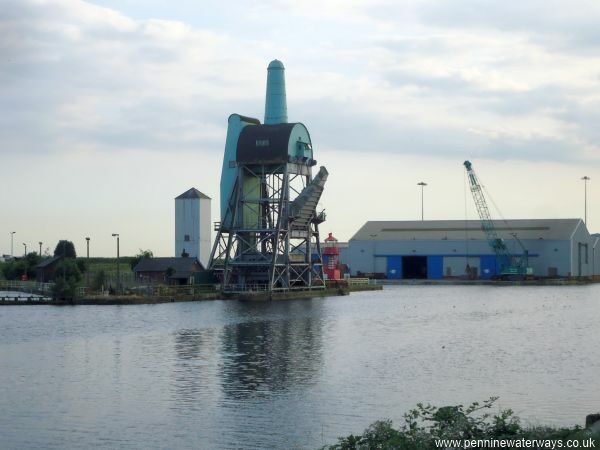 South Dock, Goole, showing the redundant hoist that lifted the Tom Pudding compartment boats and emptied the coal they carried directly into sea-going vessels. 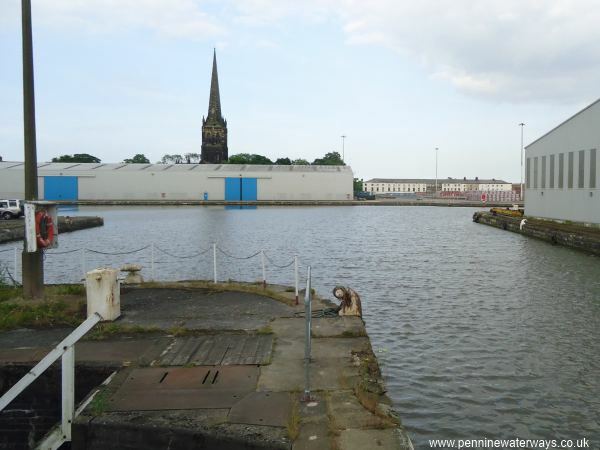 Looking west, through South Dock, Goole, towards the Aire and Calder Navigation. 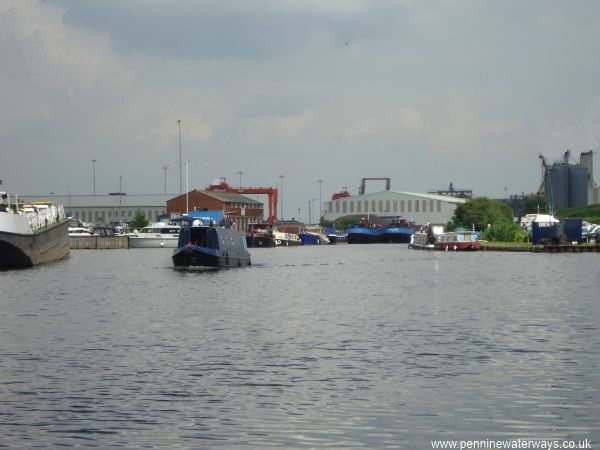 Looking back eastwards from the Aire and Calder Navigation towards South Dock, Goole. 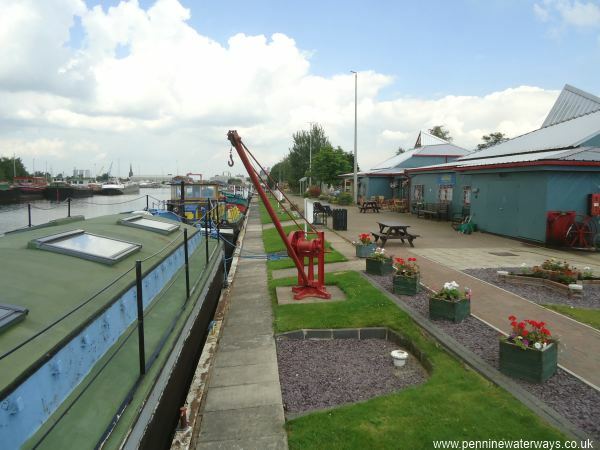 The Yorkshire Waterways Museum is alongside the Aire and Calder Navigation on the outskirts of Goole. The Tom Pudding tug Wheldale with its jebus (detachable false bow) outside the Yorkshire Waterways Museum. 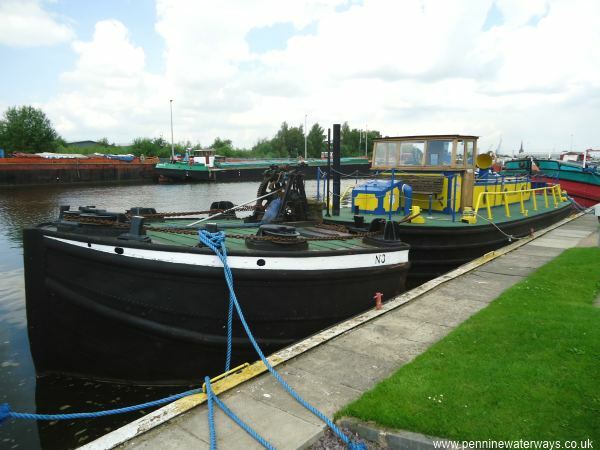 Converted Humber Keel Sobriety outside the Yorkshire Waterways Museum, Goole.